As Breakfast Or Dessert, This Dish Is Perfect At Any Time! 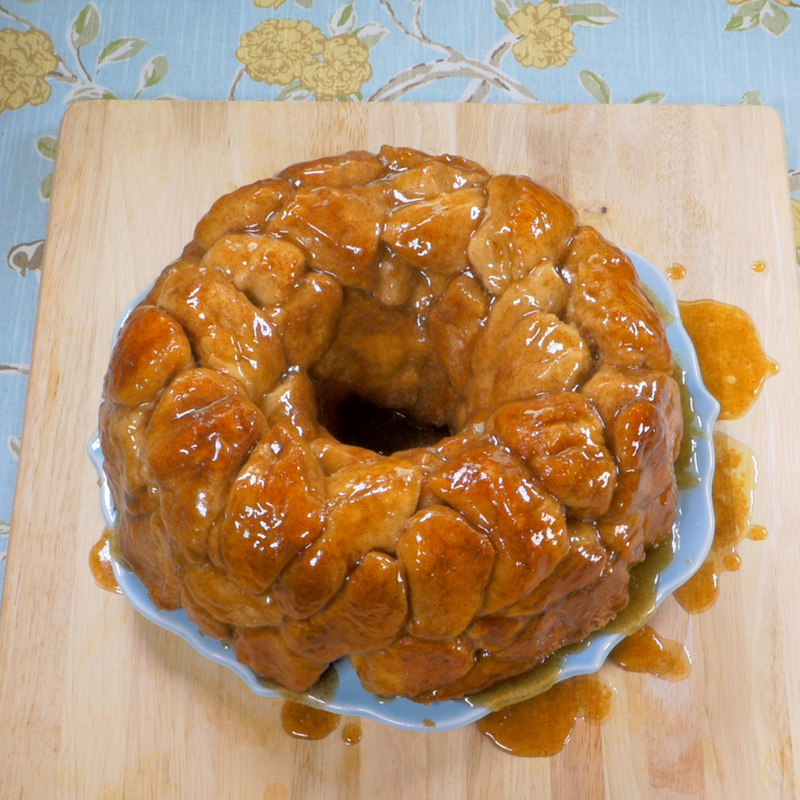 If you’ve ever heard of or tried monkey bread, you’ll be thrilled to see this recipe. If not, let us let you in a little secret: monkey bread is one of the best breakfast/desserts we’ve ever made. Preheat oven to 350º F and grease a bundt pan with butter or non-stick spray. Combine sugar with cinnamon in plastic bag, then seal it and shake to mix the two. Open bag and put all of your biscuit quarters inside. Seal bag, then vigorously shake until cinnamon sugar evenly coats all the pieces of dough. Once your dough is evenly sugared, transfer pieces to bundt pan. In a microwaveable bowl, melt butter and brown sugar together for 1 minute (at intervals of 20-30 seconds). Stir mixture until dark brown, then pour over the dough in your bundt pan. Squish pieces down into the butter mixture so they’re all coated and/or submerged. Place bundt pan on a baking tray, then bake for 35 minutes, or until dough is cooked through to your liking. Remove from oven and invert onto a serving plate.